CCTV is it recession proof? Over the years we have been through a number of downturns in the UK economy and one industry that has ridden this better than most is the electronic security market place. It has long been the belief that as money gets tight and unemployment rises this can be a catalyst for crime to increase and for manned guarding to be cut back in preference to electronic security, mainly CCTV. This recession though has had a slightly different tilt on it. The influx of cheaper electronic security from the far east has badly hit the traditional suppliers and installers especially here in the UK. We have seen the demise and re-birth of Norbain, big players such as Pelco and March networks disappear almost without trace and analogue CCTV that had in reality reached the end of its natural reign suddenly have a renaissance in terms of sales. 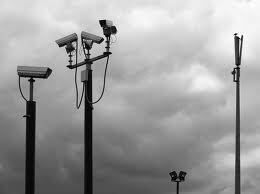 This though has come at a price to many involved in the business of CCTV. Margins are now small to non existent standards are dropping and quality is suffering. IP CCTV that many thought would be the making of the industry has really struggled to secure a foothold even with the added benefits of HD. Is this a local problem though by which we mean one that is mainly UK based? It does seem to be. This does make sense though . The UK was a saturated market long before the rest of the world started to catch up. The hope was IP and HD CCTV solutions would drive the market forward. Consumers however are just making do. Service contracts are as hotly contested as ever but there are plenty of opportunity for service based companies to make hay while upgrades are on hold. There is some good news though. Security systems have a life on them and many old analogue DVRs out there are getting tired….very tired. Sooner now rather than later many companies are going to have to make a choice. To upgrade or to abandon their CCTV systems. Although a few may decide they can do without CCTV for the foreseeable future most will be thinking they have to start spending on infrastructure at some point and this decision cant be too far away. So do they go IP or analogue or do they opt for HDcctv? This has been the perennial question now for sometime. The thinking has to be that some form of HD solution is the way forward. With some of the big IP CCTV players seemingly abandoning the UK market place in favour of big projects abroad perhaps an HDcctv upgrade using existing coax would be something that installer would be trying to pitch to end users. To do this however they need choice of both HDcctv cameras and DVRs and HDcctv equipment that is certified alliance kit seems to be reasonably hard to come by here in the UK. So the jury is out but HD cameras in one form or another will prove the way forward for the industry. All we need though is for someone to be able to tell us when ? Any thoughts? This entry was posted on Tuesday, November 13th, 2012 at 20:38	and is filed under HDCCTV, IP CCTV. You can follow any responses to this entry through the RSS 2.0 feed. Both comments and pings are currently closed.